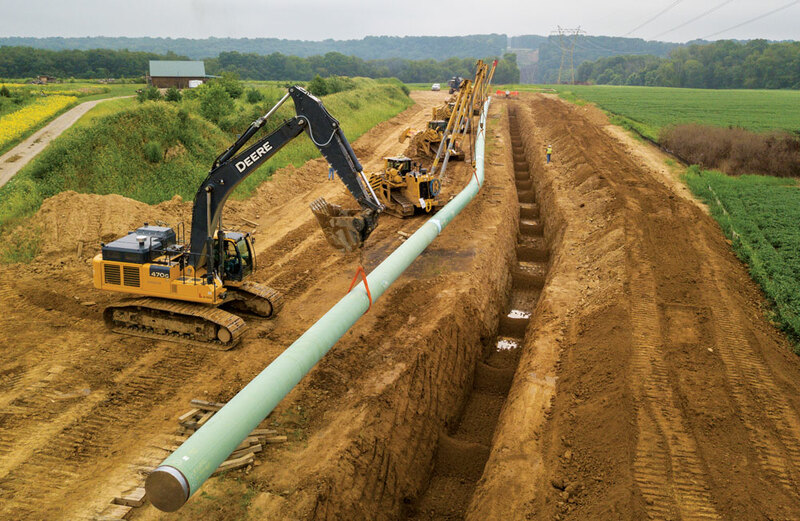 Safety is paramount to a productive and profitable pipeline construction project. While this is important to a company’s bottom line, the main reason to work safely is to ensure people have the ability to go home at the end of a job, to spend time with loved ones and doing activities that they enjoy. The leaders of Michels Corp. know this, and in 2018 they revitalized their safety efforts to really bring the message home. Already known industry-wide for its safety culture and award-winning “Promise Me” video, launched in 2014, the Michels Health, Safety and Environment (HSE) team decided it was time to refresh the program and bring it to the masses at several of Michels’ locations and major projects. The Mi-Promises campaign is a revitalization of its “Promise Me” video and a main component of the campaign is My VIP & Me, a traveling safety event that provides an opportunity for the Michels leadership team to present its safety message to its employees, as well as their family and friends. The relaxed atmosphere includes games, food and photo ops. It also provided a chance for the younger attendees to see what it exactly is that their family members do for a living and the important role that safety plays in that. Sean Nicholson, Michels vice president of Health, Safety and Environment, at the August My Vip & Me event in Toledo, Ohio. 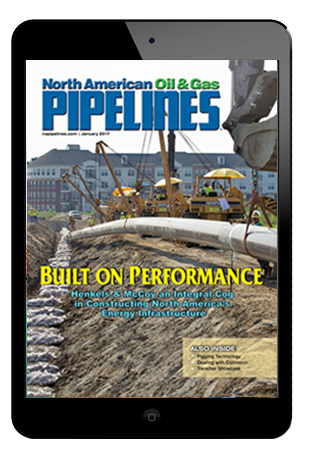 Robert Osborn, senior vice president, Michels Pipeline Construction, notes that the new initiative is the brainchild of Sean Nicholson, Michels vice president of Health, Safety and Environment. Of course, an undertaking like this does not amount to much if the company’s leadership does not buy-in as well. That is clearly not the case at Michels Corp. where Pat Michels, the company’s president and CEO, fully embraced and worked with Nicholson to expand it. It was Pat Michels who actually provided the safety celebration idea, which would be come My VIP & Me, and he attended many of the events in July and August. On the pipeline side of the business, Michels Corp. hosted a My VIP & Me safety celebration outside of Toledo, Ohio, where the company was stationed to work on Spreads 3 and 4 of the NEXUS Pipeline project in Ohio and Michigan. Also invited to attend were representatives from NEXUS, as well as Michels’ subcontractors and inspection staff. Employees working on Spreads 3 and 4 of the NEXUS Pipeline project were invited to bring their family and loved ones to the Toledo My VIP & Me event. 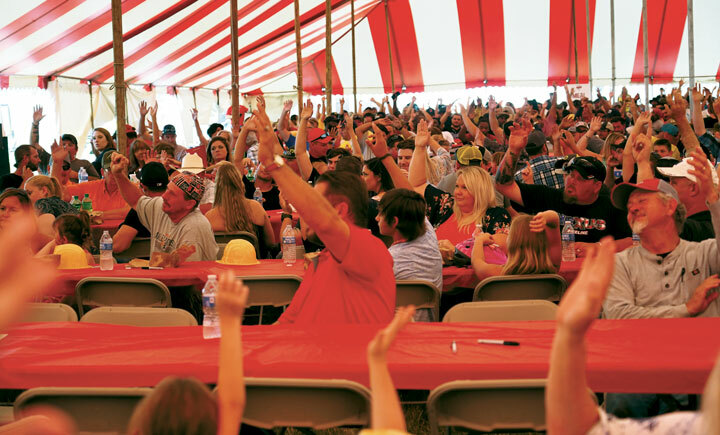 To get a proper scope of the size of these events, it required a big top tent (red and white of course) to accommodate the approximately 1,200 people who attended the Toledo celebration. Judging by the license plates on trucks in the parking lot workers were there not only from Ohio and Michigan, but Utah, Texas, Oklahoma and Wisconsin to name a few. Of those 1,200 about half were family members of employees. Michels rolled out the multi-faceted Mi-Promises campaign during the summer of 2018, when our employment reached a peak of 8,500. The basis of the safety initiative is to remind each employee, whether they work in the field or in an office. 12 Safety Celebrations for employees and their families at offices and project yards throughout North America. Stop Work Promise: Michels asks all employees to promise to stop work that is unsafe or that they or someone else may be unqualified to perform. Mi-Promises: Employees made a personal and specific commitment/promise to their loved ones regarding what they would “always” do to ensure they make it home safely each and every day. “Mi-Promises” video: This video re-enforces the message of the award-winning 2014 “Promise Me” video by featuring Michels employees making candid, unscripted and compelling promises to work safely. Michels designed and distributed a commemorative Mi-Promises safety coin to celebrate the Mi-Promises campaign and reinforce the importance of each individual’s Stop Work Promise. All employees are asked to carry the coin with them each day as a reminder to themselves and their teammates of this essential commitment and message. 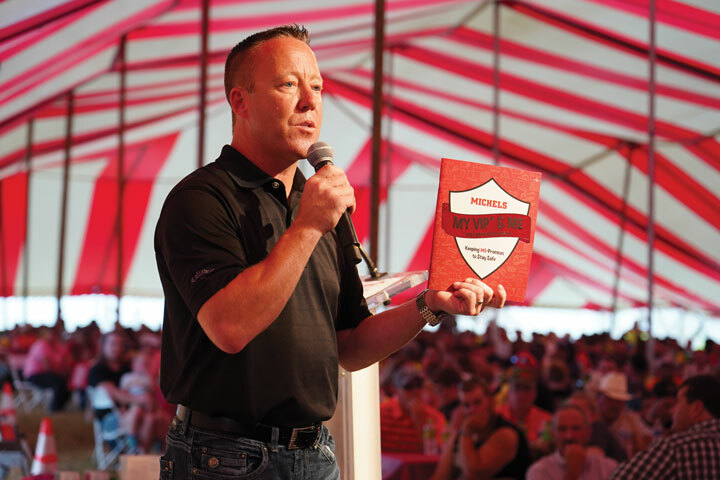 All told, ore than 4,000 employees and family members attended the My VIP & Me events in July and August, reinforcing the Michels Corp. commitment to jobsite safety. And the HSE group intends to keep the going into 2019 and beyond. While My VIP & Me celebrations have ended for this year, Mi-Promises continues on, and that is the tip of the iceberg when it comes to a safe pipeline project. Osborn notes that Michels has an extensive safety program with many initiatives. Specific to each large pipeline projects, Michels holds weekly and monthly award and recognition programs. they also use the company magazine to recognize employee accomplishments.